You might be interested to know that the meeting of June 3 is a special meeting not like our usual weekly meetings. We will be holding a club contest (i.e. humorous speech contests and evaluation contests). The each evaluator has a chance to give an evaluation, making sure to provide constructive feedback to the target speaker and making sure to speak within the allotted time. Finally, what makes it quite interesting for the audience members is that we get to have a sense of the different evaluation styles and we notice what the evaluators pick out in common as well as any special points that each individual evaluator may have noticed that the other evaluators have not mentioned. Finally, we compare to what we would have said ourselves had we been asked to evaluate the target speaker. This is a great learning experience because it allows us to, in a sort of way, “learn through osmosis”. Here is the St-Lawrence Toastmasters programme for the meeting of June 3, 2014. Vous serez peut-être intéressés de savoir que nous aurons une réunion spéciale le 3 juin à notre club Toastmasters à Montréal. En effet, nous organiserons un concours de club (c.-à-dire des concours de discours humoristiques et des concours d’évaluation). Voici le programme pour la soirée Toastmasters du 3 juin 2014. The St-Lawrence Toastmasters Club in Montreal would like to warmly welcome its newest member Sultan. "Public speaking was a challenge for me and I decided to join the Toastmasters to expand my limits, to be more effective in my professional life. I want to improve my communication and leadership skills and to gain experience in public speaking. At the beginning, I was planning to visit different clubs. But when I visited St-Lawrence TM Club, I decided to join. I decided to join St-Lawrence TM Club because of the nice atmosphere, the high level of performances, and the courtesy, support and friendship among the members. I found it also very interesting to meet there people with different levels of experience and from different professional environments." What do the "I have a dream" speech and Steve Jobs’ iPhone launch presentation have in common? This TED Talk from Nancy Duarte reveals the common architecture to all great presentations. 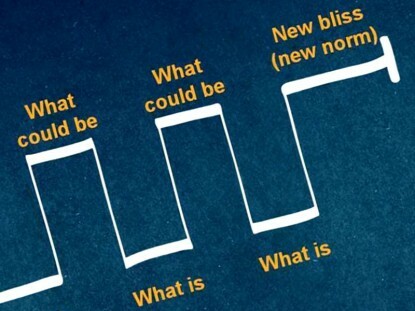 You will learn how some of the greatest speakers use the "what is" and "what could be" to move their audience toward a powerful call-to-action. Are you interested in making your speeches more persuasive and well structured in a friendly and supportive environment? 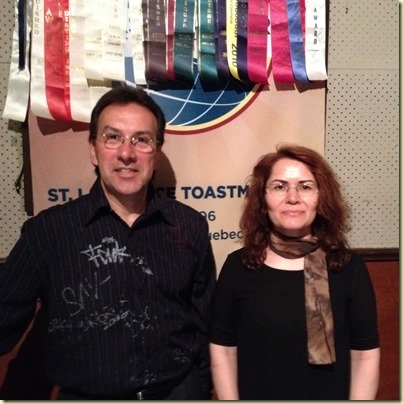 Then visit St-Lawrence Toastmasters in Montreal. Here is the programme for the meeting of May 20, 2014. Do you want to find out how to speak more effectively in public, or even to overcome your fear of speaking in public? Are you looking to improve your skills to become a more effective leader? Here is the programme for the St-Lawrence Toastmasters meeting of May 6, 2014.